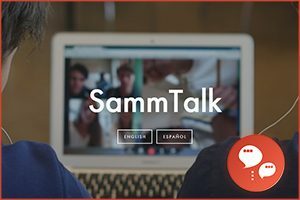 SammTalk is an online platform connecting secondary school language classes internationally via video chat and online social media, so that students can practice their language skills, make foreign friends, and learn about life in other places. The platform provides teachers with information about their assigned partner class, as well as a schedule and activities, such as shared videos and photos to get started and video chat rooms to talk in real time. Essentially, with SammTalk, groups of students are given digital pen pals and various tasks aimed at encouraging language and cultural exchange, increasing motivation to learn, while developing respect and tolerance for other peoples and places. The SammTalk team works very closely with teachers to ensure that participation is beneficial and also easy, conscious of time use, and fun. Low student motivation and inactive learning is counter-acted in a highly efficient manner. 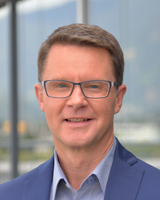 SammTalk convinces with its playful and user-friendly approach.